Search Flights, Compare Airfares and Save money on all your flights and travels with AeroCompare.com. Where do you go next...? On AeroCompare, you will find cheap flights for domestic and international travel, cheap tickets, airline special tickets, discount airfares, discount first class airfare, the easiest air travel planning tools and expert travel advice. We compare constantly all airlines and air fares on the market with the leading flight companies to have the cheapest air fares for you 24/7 at your finger click. Since airlines change flight prices constantly, you're advised to visit AeroCompare frequently and let AeroCompare's flight compare search engine monitor airline ticket prices of all major airlines, so you'll be first in line to get the cheapest air tickets for your flight. Search AeroCompare to get the best tips on which Frequent Flyer Program to sign up for and to get travel tips how to fly most comfortable. 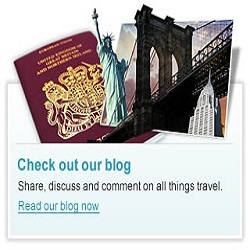 Also take advantage of our free travel compare service to compare other travels needs than flights. Use our accredited partners sites to compare hotels, compare cruises, compare holidays and compare car rentals online for free. Or book your tourist tours and attraction on your flight destination in advance for guaranteed best price. Compare Flights & Fly Cheap! 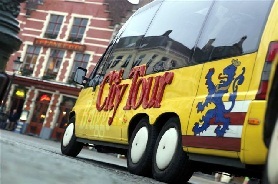 Looking for City Tours ? Finding cheap flights to cities around the world used to be difficult and time consuming as it was never clear if you paid a good price for your airline ticket. Find cheap flights to any city in the world with AeroCompare! Search, compare and book for free on hundreds of airlines and thousands of top destinations in cities around the world. Compare Flights and Fly Cheap! Finding cheap flights to countries around the world used to be difficult and time consuming as it was never clear if you paid a good price for your airline ticket. Find cheap flights to any country around the world with AeroCompare! Search, compare and book for free on hundreds of airlines and thousands of top destinations in countries around the world. Compare Flights and Fly Cheap! There are thousands of airlines and hundreds of frequent flyer programs in the world. However is you fly often, or you want to fly as comfortable and pleasant as possible, it make sense to study the creme de la creme of airlines and frequent flyer programs. Get a quick overview of the 3 big airlines alliances. Get more information about the worlds' leading frequent flyer programs which give you not only benefits and miles on one airline, but the full range of benefits and comfort on a whole range of airlines and worldwide. Find and compare all your cheap world class flight tickets on AeroCompare.com. Compare Flights and Fly Cheap! AeroCompare.com compares over 1000 airlines to find you the cheapest airfares and cheap flights. We also compare and find the cheapest hotels and car rental for your next trip so you can do more with your money! AeroCompare is an award winning site recommended by several of the leading travel observers: The Guardian, The Independence, Which? Travel, BBC, CNN, NBC & more! Also compare flights and find cheap flights and save! When you find your cheap flights and click to book, we link you through directly to the airline or travel agent. No hidden charges, no added fees, just the cheapest airfares every time on AeroCompare.com! Take advantage of FREE ROAMING during your international flights. Get a roaming free SIM CARD and safe money on mobile phone calls abroad! Compare flights, flight deals, last minute flights, discount flights and holiday flights of trusted airline providers offering cheap flights in One Click. Find cheap flight deals and airfares to any destination and get your flights with lowest price guarantee in any destination worldwide here.